I have a car for French Friday! Actually, three. 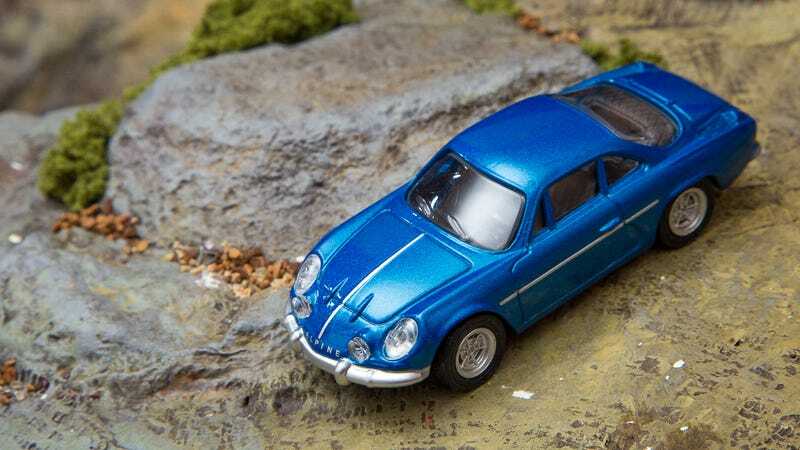 This blue Alpine just came to me from Jobjoris to join my rally version! I think these cars are gorgeous. It’s such a cool design, and they look amazing whether clean like this or all rally’d up. The green car is a fun little one, a Simca Rallye. I need to learn more about each of these cars as they have interesting histories. Both of these A110's are from Norev, and they are gorgeous. Beautifully detailed castings with gorgeous paint and great wheels. I think this one just looks fun! It wants to be driven hard.